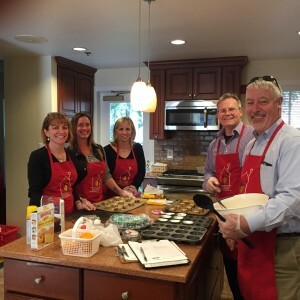 Recently, several employees gathered together to help out the local Ronald McDonald House. 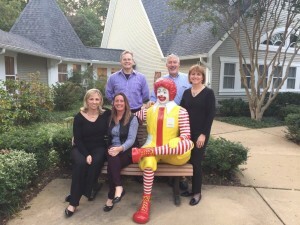 The Ronald McDonald house is a place where families of patients who are in the hospital can go to spend the night, have a meal, and rest while they are visiting their family members in the hospital. 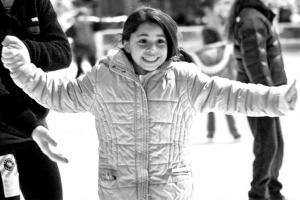 The house, located in Falls Church, supports all of the local hospitals and can house up to 8 families at a time. See more information here. 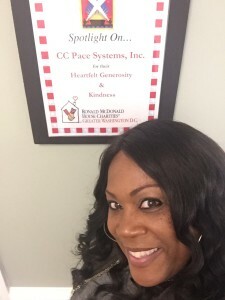 CC Pace employees prepared a delicious meal for the families and staff including: vegetable beef soup, garden salad, cornbread, cookies and brownies. In addition, our employees collected a variety of supplies, arts and crafts, and puzzles to go into activity bags for the patients in the hospitals, as well as the family members taking care of them. Thank you to Beverly, the house night manager, for her help and giving us a tour of this wonderful house.